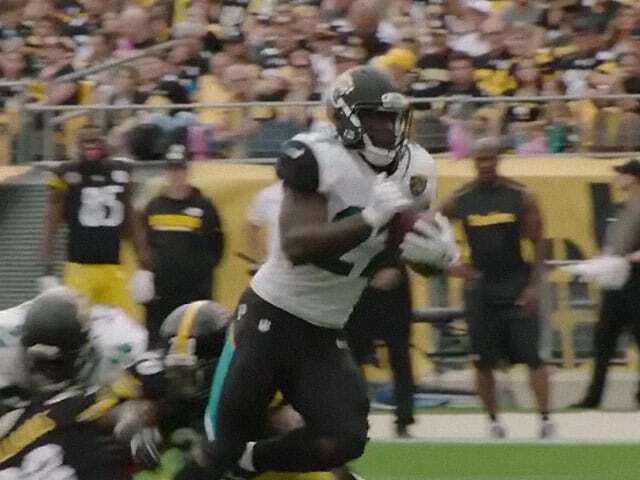 Watch 2017’s highlights of Leonard Fournette, Jacksonville Jaguars Running Back, #27. Fournette speaks to his career high in rush TD’s, and the emotional post-game experience in the locker room. Leonard Fournette was destroying defenders for years and many consider him to be a once in a generation running back talent. Get to know more about Leonard Fournette. Before he was scoring 75-yard touchdowns as a rookie star, Jacksonville Jaguars running back Leonard Fournette shows off his sense of style at Live Fashion House in his hometown New Orleans.